After teasing fans with the infectious "First Listen" music video last week, JT has JUST debuted the official music video "CAN'T STOP THE FEELING! ", directed by groundbreaking and multiple award winning director Mark Romanek! Be the first to check out the new video below! Other good news? This Monday, Billboard announced that JT's newest single, "CAN'T STOP THE FEELING! ", from the upcoming DreamWorks Animation film Trolls, has debuted at No. 1 on Hot 100 in its first week! The song, which has been unanimously declared as "song of the summer" by fans and press alike, also debuted at #1 on the Billboard Digital Songs Chart and has the biggest first week single sales for any track in 2016. P.S. JT wants to see YOUR OWN "CAN'T STOP THE FEELING! "-inspired dance moves! Share your moves with hashtag #CantStopTheFeeling for the world to see! Hey Justin, look that, you will love it. It's a wonderful cause! This is the best music video ever ! 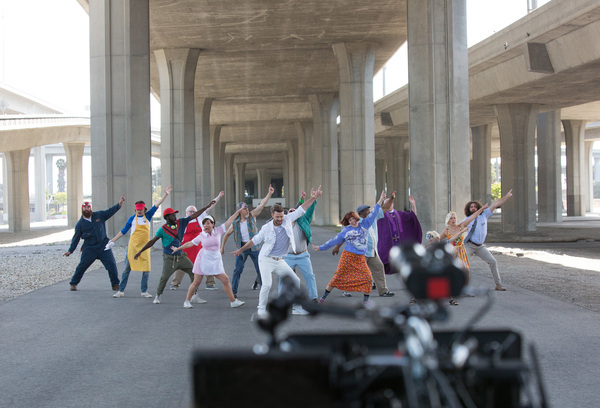 So much love for this music video we had to recreate it ourselves, the Casal Family Can't Stop the Feeling! Please watch our music video it would make our days! I love this song ! Justin is so cute !